If you’re like most people, it’s tough to put bedroom design and décor at the top of your priority list. By the time the public areas of the home are complete, there’s often little of the budget left to devote to the master bedroom. And although it makes sense to focus on high use areas first, it’s also important to create a bedroom that’s a haven for hard earned rest for you and your significant other. 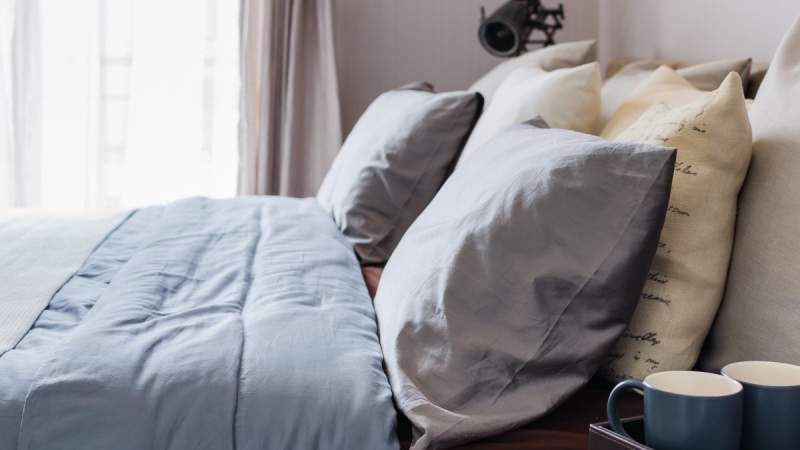 Considering that it’s also where you spend a good 7-9 hours each night (and we all know too well that the quality of sleep you experience has an impact on how well you function throughout your day), the master bedroom merits some love and attention. So where should you begin in designing a personal space for rejuvenation, relaxation and intimacy? Looking at the profiles of top interior designers can reveal a few common themes that don’t require a huge investment. To start, choosing soothing color schemes, luxurious bedding and a few special details can make your room the retreat you’ve always dreamed of. Invest in a quality mattress. 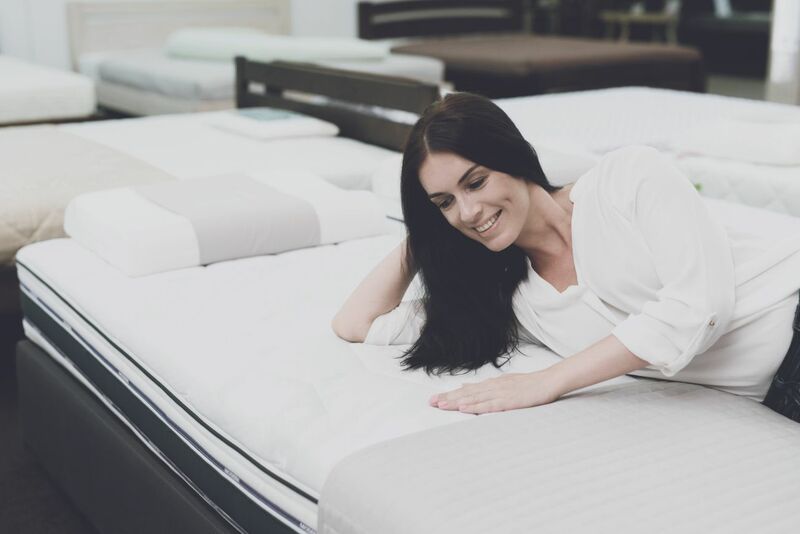 Sadly, many people put up with a worn out, uncomfortable mattress for years, not realizing how much it has disrupted their sleep until they finally invest in a new one. A quality bed is essential for getting a deep, restful sleep. You should also make sure that the bed is wide enough and long enough for both partners and with adequate firmness that does not put excess pressure on the joints. And while you’re at it, take the time to pick out a new pillow. 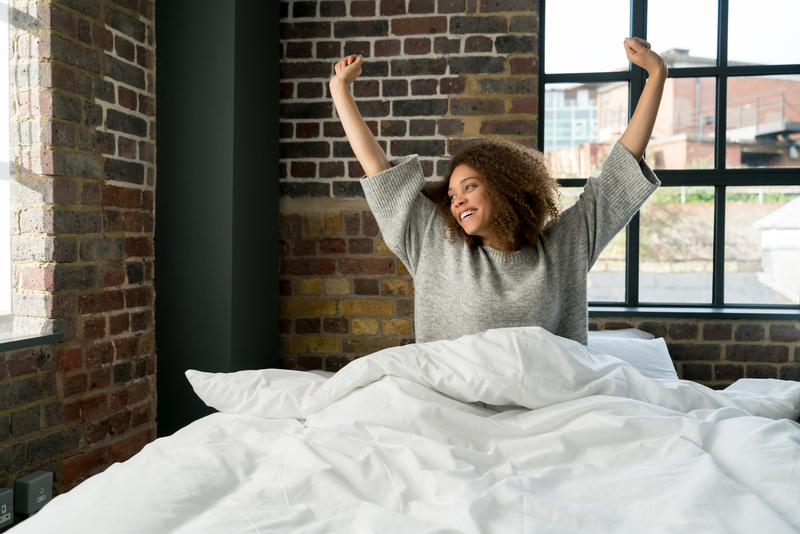 Whether you prefer down or synthetic, firm or soft, pillows come in all sizes and densities and are designed to help you sleep more comfortably on your back, side or stomach. You’ll know you’ve found the right one if it keeps your head and neck aligned with your spine when you lay in your natural sleeping position. 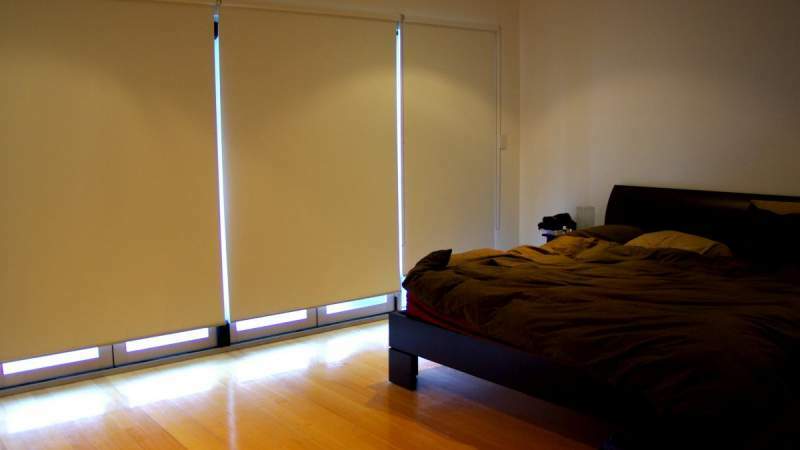 To set the tone for sleep, your bedroom should be well-ventilated, cool and dark. A dark room encourages the pineal gland in your brain to boost melatonin secretion, which helps you fall into a deep sleep. If streetlights are an issue, using blackout drapes or an eye mask can be helpful. If you tend to wake up during the night, do your best not to turn any bright lights on, even in it means using a small flashlight or nightlight to find your way to the bathroom and back, since each exposure to light can interrupt the brain’s regular sleep cycles. To create a space that is truly an escape from the daily hustle and bustle, it’s essential to ban electronics from the bedroom. Studies show that smartphones, computers, or any electronic device that people often bring with them to bed can hinder their ability to mentally disconnect from work and get a good night’s sleep. If you do feel the need to unwind, experts suggest a few minutes of light reading can help you to relax physically and mentally in preparation for rest. You owe it to yourself and to your loved ones to turn your bedroom into a sanctuary that you look forward to spending time in. Even if the budget is small, making a few simple tweaks to your space can bring about an immediate change that you’ll notice in just one night. 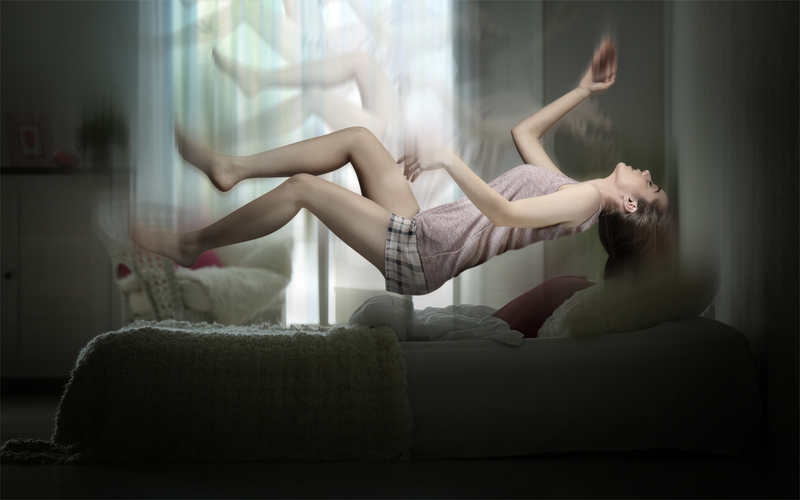 You’re Conscious, but Can’t Move: Sleep Paralysis, is it Harmful to Your Body? 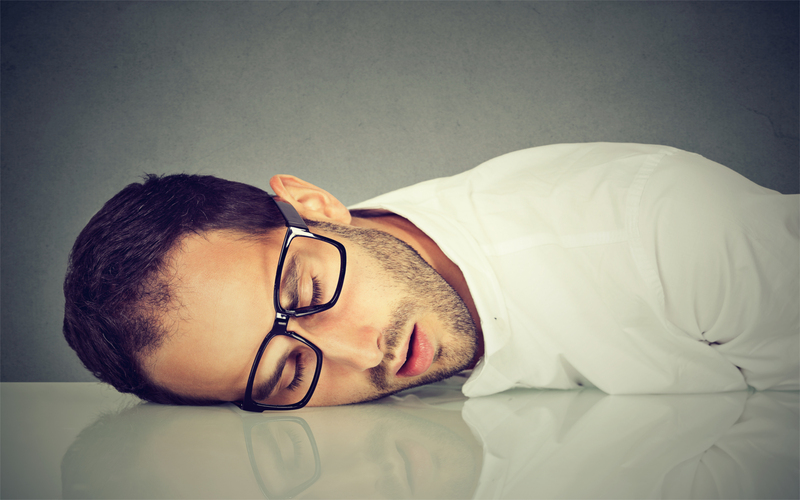 Have you ever woken up from sleeping, and found yourself unable to move? This horrific phenomenon has been happening to human beings since we’ve been conscious enough to talk about it, but it’s only been in the last century that we’ve been able to give it a name and start to analyze why it happens to us.